lesson plans for art, educators are able to nurture the multiple intelligences of their students. The multiple intelligences are: linguistic, logical, visual-spatial, kinesthetic, musical, interpersonal, and intrapersonal. The themes in art intersect nicely with those of music. Educators can teach to a particular theme or a period in time. Musical instruments can be used as models for still life drawings. Portraits of famous composers can be drawn while listening to the music he or she wrote. Women composers are an often a forgotten group in the music world. However, they number in the thousands from around the world, dating as far back as the 11th century. A comprehensive list of women composers can be found at this database. Multicultural educators can open the door of any culture with lesson plans that incorporate art and music. In addition, students can scaffold their musical/art knowledge into language arts by journaling their thoughts/feelings about the art they viewed and the music they heard. 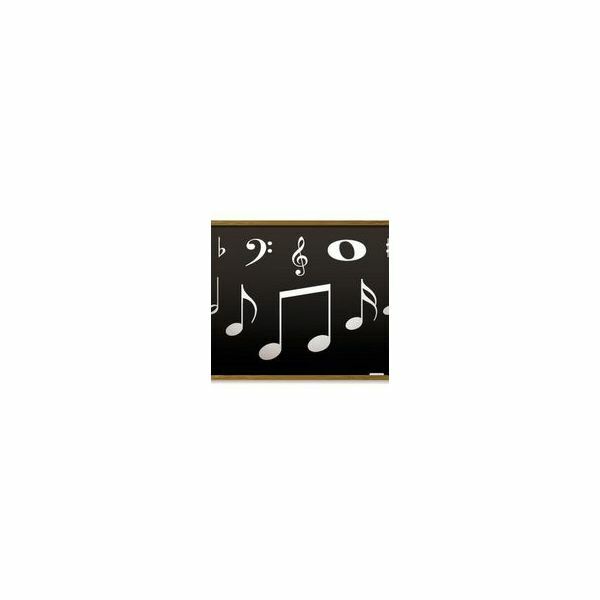 The following are some simple lesson plans for incorporating art and music that will nurture multiple intelligences. Choose a theme or specific period in history. Display art related to the chosen theme or period. While the students reflect on the artwork displayed, play music from the same period or related to the same theme. Once music has played through, have students listen a second time as they draw what their version of the artwork on display. Note: This is does not mean they need to copy the art, simply that they should allow the art to inspire them as well as the music to draw/paint/sculpt something inspired by what they saw as well as heard. For example, see the image to the right. 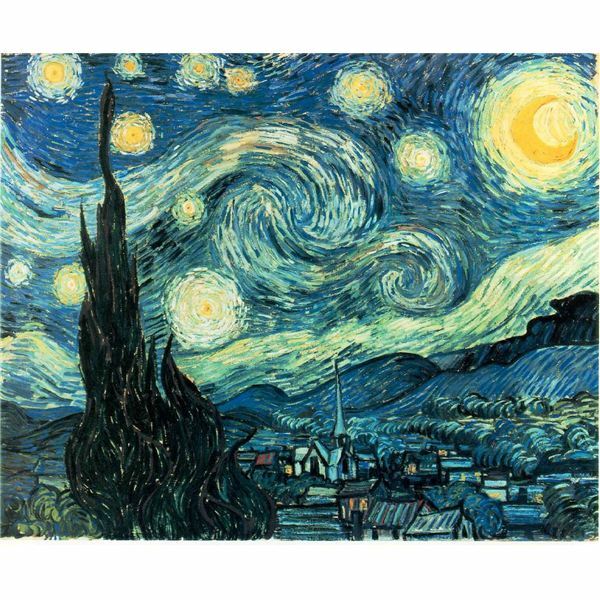 Show Van Gogh's Starry Night while playing the song Vincent by Don McLean. Then, have the students draw/paint/sculpt their own inspired work while listening to the song once more. Incorporating journal writing into this lesson plan will appeal to students who are verbal learners. Ask the students to write a short journal entry on what they feel when they look at the paint, then what they feel when listening to the song, finally, ask them if there is a difference; if so, why. Have students share their thoughts in small groups or with the class. Gather a collection of small musical instruments into the center of the class. Have students pick up and examine the instruments. After they have had time to look at and feel/touch the instruments, break the students up into small groups. Give each group 3-5 instruments to be placed into the center of their space. Discuss Pablo Picasso and Cubism. (This will appeal to the logical learners because of its connection to geometry.) Show the students the painting, Harlequin with Violin or one of the other pieces Picasso painted during his cubism period that related to musical instruments. Play a piece from that period in time, such as a piano solo by Debussy or Manuel de Falla. Explain to the students that Picasso spent his time divided between his homes in Barcelona and Paris. Again, once they have completed their still life of the instruments done in cubism, ask the students to journal how the music felt and what they see when they look at the painting. Discuss portrait art. Give the students several examples of portraits from the various periods in art. Choose a woman composer for whom there is a picture, copy the picture, and place it predominately in the classroom. Have the students study the picture. (Small copies can be made and placed at each table.) Then, have them sketch their impression of this person. Allow them to sketch using whatever form to which they are drawn, i.e., impressionism, cubism, modern, or classical. While they are sketching, play music by the female composer. Once done, have students journal their thoughts. Have them ask themselves if the music and portrait of the composer complemented each other or if there was a difference. For instance, did the portrait show someone who looked very proper and restrained, yet the music was passionate and powerful? Have the students share their thoughts in small groups or with the class, as time permits. At the end of these art education lesson plans, students will have been exposed to art and music, as well as language arts. The work they will complete will nurture their multiple intelligences along with connecting them to multiculturalism. Art infused with music brings everyone something to sing about. State of Minnesota Department of Natural Resources: Teach Art and Music Using the Environment. Art History Archive: Cubism and Pablo Picasso. National Endowment for the Humanities EdSitement: Romare Bearden's The Dove – A Meeting of Vision and Sound. What Are the Multiple Forms of Intelligence and What do Standard IQ Tests Assess?